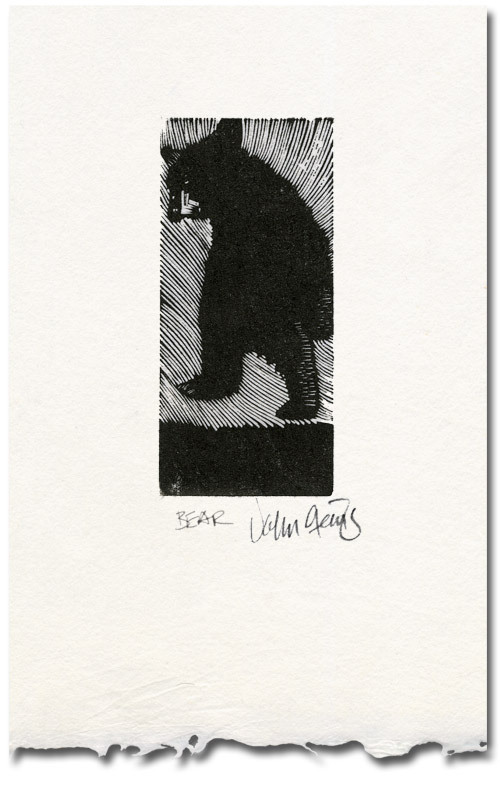 A postage stamp sized engraving of a cuddly bear. Beautiful in the wild, they can be unpredictable. Deckle edge for illustration only.